The club version of the power-driven CYANO racquet series is called IGNITION. The 120 version, the lightest of the series, features the Innegra™ technology, a hybrid-composite structure integrated into the racquet for advanced shock absorption and enhanced stability. 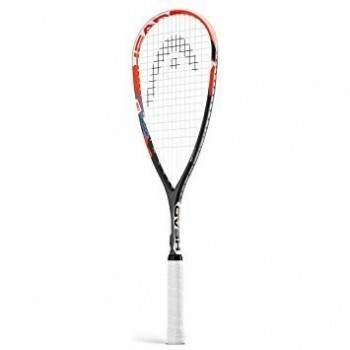 The durable racquet features a unique teardrop shape for more power, which makes it the perfect choice for the aggressive front court club player. A great price point series frame from Dunlop designed for improving players looking to upgrade from their starter frames. The Prince TeXtreme Pro Warrior 600 Squash Racket is the latest squash racket brought out by Prince for World Star Ramy Ashour. This racket features the new product innovation Textreme. Team Airstick 500 is an update version of the long established Airstick 140. 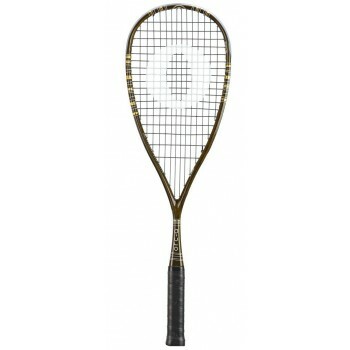 This classic racquet offers players of all abilities the power, control and 'crisp' feel they need on the squash court. Full Graphite racquet in a lightweight construction with superb shock absorption, stability and power. Powerful but light handling play due to the newly developed frame with bridge, semi-concave profile and aerodynamically rounded edges. Designed for players looking for a versatile racquet. frame, creating a larger sweetspot for more power and reliability. The Head Ignition 135 squash racket maximises your performance as it provides excellent stability and shock absorbtion from the Head Innegra hybrid composite structure with carbon fibre for durability. This Innegra technology features the lightest technology performance fibre you can get. The Dunlop Hyperfibre + Evolution Pro Squash Racquet is Nick Matthew's choice of racquet for the upcoming seasonNew for the 2017-18 season Introducing the Dunlop Hyper Fibre Evolution Pro 120 Nick Matthew signature edition Squash Racquet .Dunlop Hyperfibre+ is next evolution of the popular Force series. The new ORC-A SupraLight combines a lightweight racket with excellent power-generating ball acceleration. The Wave design of the ORC-A line absorbs vibration for comfort and provides excellent cushioning to prevent arm fatigue. Due to the slightly top-heavy balance of the ORC-A SupraLight, it is an ideal manoeuvrable racquet for attacking play. The Wave design of the ORC-A line absorbs vibration for comfort and provides excellent cushioning to prevent arm fatigue. Due to the slightly top-heavy balance of the ORC-A SupraLight, it is an ideal manoeuvrable racquet for a controlled attacking play. The narrow profiled racket with a very high frame stiffness impresses with its playing characteristics, which are required at the highest level for a precise and powerful play. A play fun of the extra class.